Ballsiest Band is back with their second episode of "ArnoCorps Advices." Holzfeuer is joined by legendary bassist Karl Dichtschnur for the second episode of the greatest advice series of all time! In this edition, the members of ArnoCorps share some tips for up and coming bands who seek to engage the audience in-between songs to help improve their stage presence. Examples of do's and don'ts are provided. Exactly. If you missed the first episode click Here to get their advice. 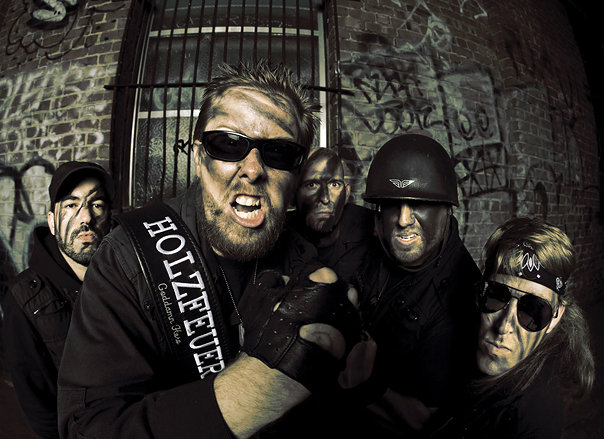 Initially, one might perceive ArnoCorps as merely a group of five highly trained militant Austrian action-rock heroes. Big mistake. The motivation behind the band is far too complex to be defined by such superficial characteristics. Inspired by the ancient heroic lore and mythology of the Austrian Alpine communities, the content of ArnoCorps music carries on their homeland's sacred tradition of telling stories of great deeds and fantastic adventures through song. As such, the band has been singularly responsible for restoring integrity to the many Austrian tales that have been bastardized for cinematic exploitation throughout their lifetimes. ArnoCorps' explosive live performance doesn't depend on pyrotechnics or lighting effects to create excitement. The band's pure physicality has qualified them to be featured in SF's World's Deadliest Bands annual showcase two years running. Still, there is no need to fear ArnoCorps. They are a rescue team, not assassins. ArnoCorps performances have evolved to the point where attendees are no longer merely observers, but willing participants in a life-changing event. Many audience members claim to leave with increased muscle mass, a better understanding of life's mysteries and feeling like "goddamn heroes." 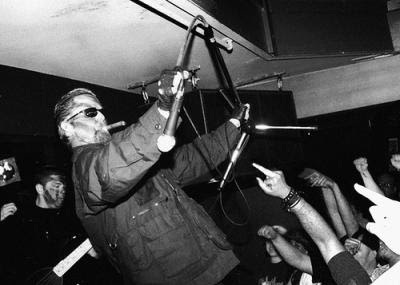 After the release of their album "The Greatest Band Of All Time" on Great Britain's Anticulture Records, ArnoCorps conducted a headline tour of the UK and Ireland in 2006, amassing much critical acclaim, including a perfect 10 out of 10 rating from the BBC.